NEWPORT BEACH, Calif. – June 9, 2010 – In a unanimous decision, the California Supreme Court agreed today to hear St. James Anglican Church’s appeal that it has a constitutional right to continue its property rights battle against The Episcopal Church. By granting the St. James petition, the Court has acknowledged that this property rights dispute is far from over as the Episcopal Church has claimed, and that the Court must decide whether a defendant can be deprived of its property before it has had the opportunity to defend itself with evidence in a court of law. St. James petitioned the California Supreme Court following a March opinion by two justices of the California Court of Appeal, Fourth Appellate District, Third Division, in which two of three justices interpreted a prior California Supreme Court decision called Episcopal Church Cases as having finally resolved the property dispute between the Episcopal Church and St. James in favor of the Episcopal Church, thus depriving St. James of any opportunity to defend its property with evidence in the Orange County Superior Court. But a stinging dissent by the Appellate Court’s third justice called the majority’s opinion “revolutionary,” “unprecedented” and “without any basis in law.” Dissenting Justice Fybel said that this was “the only case in the history of California where entry of judgment has been ordered upon overruling a demurrer and denial of an anti-SLAPP motion.” In the opinion, both the Court of Appeal majority and Justice Fybel urged the California Supreme Court to step in and clarify what it meant in its 2009 decision entitled, Episcopal Church Cases. Before St. James had the opportunity to present its evidence, the Orange County Superior Court ruled in 2005 (see case summary, below) that the Episcopal Church’s allegations were legally defective. After the trial court dismissed the Episcopal complaints, the appellate courts took years to decide what law should apply to the dispute, eventually ruling that the Episcopal complaints could go forward. In early 2009, the California Supreme Court sent the case back to the Orange County Superior Court, where St. James for the first time answered the Episcopal complaints, raised affirmative defenses, began discovery, and looked forward to defending the property that its members bought, paid for and maintained since its founding six decades ago. The Court of Appeal majority essentially ruled that St. James may not defend itself, and that the Episcopal Church is entitled to judgment in their favor based on their allegations alone. St. James’s lead attorney, Eric Sohlgren, said, “St. James is extremely pleased that the California Supreme Court has heard our plea to restore justice and fairness to this case. St. James will now have an opportunity to argue on behalf of all Californians that people should not be deprived of their property without getting the opportunity to defend their case in a court of law. These principles go to the very heart of what Americans hold dear under our Constitution,” Sohlgren said. The Episcopal lawsuits against St. James stemmed from a decision by the members of St. James Church in August 2004 to align themselves with another branch of the worldwide Anglican Communion, and end the church’s affiliation with the Episcopal Church over core theological differences involving the authority of Holy Scripture and the Lordship of Jesus Christ. The Episcopal Diocese of Los Angeles sued St. James Church, All Saints Church, Long Beach, CA, and St. David’s Church, No. Hollywood, CA, and over two dozen volunteer board members in September 2004, including for monetary damages. Subsequently, the national Episcopal Church intervened into the lawsuits. Since that time, the case has progressed from the Orange County Superior Court to the California Supreme Court, which decided how such church property disputes would be resolved in California. After a lengthy appeal from an early victory attacking the Episcopal complaints, the case was recently returned to the Orange County Superior Court for discovery and trial, but before that could happen the Episcopal Church filed a writ petition with the Court of Appeal whose majority granted the petition. 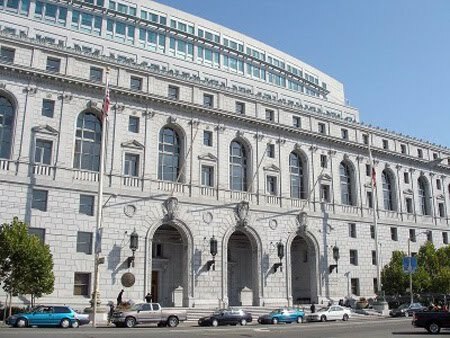 St. James petitioned the California Supreme Court to hear its appeal from the Court of Appeal decision, which the Supreme Court unanimously granted. In August 2004 St. James Church ended its affiliation with the Episcopal Diocese of Los Angeles and the Episcopal Church over theological differences involving the authority of Holy Scripture and the Lordship of Jesus Christ. The Episcopal Diocese of Los Angeles brought lawsuits against St. James Church, All Saints Church, Long Beach, CA, and St. David’s Church, No. Hollywood, CA, and their volunteer board members in September of 2004. Subsequently, the national Episcopal Church intervened into the lawsuits against the three local church corporations and their volunteer board members. In August 2005 the Honorable David C. Velasquez of the Orange County Superior Court ruled in favor of St. James Church and struck the complaint brought by the Diocese of Los Angeles. In October 2005 Judge Velasquez issued a similar ruling in favor of All Saints and St. David’s Churches. These early victories arose from early challenges to the Episcopal allegations made by the Diocese and the Episcopal Church, and as a result, no trial ever occurred and St. James never had an opportunity to defend those claims on the merits. The Episcopalians then appealed to the California Court of Appeal sitting in Orange County on this very limited court record, arguing that under neutral principles of law they had a probability of prevailing and had alleged legally viable claims. In July 2007 the Court of Appeal rejected nearly thirty years of California church property law by ruling that a secular court must defer to the determinations of the highest level of the church hierarchy regarding ownership of local church property, regardless of any agreements between the parties, the corporate documents, who paid for the property, or who held the deed. The Court of Appeal reversed the trial court judgment in favor of St. James, and ordered the case back to the trial court. In August 2007 St. James filed a petition with the California Supreme Court, which the Court unanimously and quickly accepted under the name of Episcopal Church Cases. The Court heard oral argument in the case in October 2008. In January 2009 the California Supreme Court ruled in Episcopal Church Cases that church property disputes in California must be resolved by neutral or non-religious principles of law, not by civil courts merely deferring to the decrees of church “hierarchies” or larger church bodies. As a result, every church property dispute in California now will be resolved based on non-religious factors that are unique to the dispute. While adopting this non-religious method of resolving property disputes between churches, however, the Court seemed to defer to the Episcopal Church’s alleged “trust canon,” which purports to create a trust interest in church property owned by local congregations. The Court made its ruling despite the fact that St. James purchased and maintained its property with its own funds and has held clear record title to its property for over fifty years. St. James believes that this ruling overlooked decades of trust law in California that only allows the owner of property to create a trust in favor of someone else, and will as a result have wide impact for local church property owners throughout California that seek to change their religious affiliation. In late January 2009 St. James formally asked the California Supreme Court to modify its January decision. In February 2009 the California Supreme Court granted the St. James request, and modified its decision to confirm both that the suit against St. James is not over and that no decision on the merits of the case has yet been made. Instead, the Court clarified that its decision was only based on the limited record before it, which will now be augmented through the normal discovery and trial process. In late February 2009, the case against St. James Church corporation, the volunteer board members, and clergy returned to the trial court in Orange County where St. James can assert factual and legal arguments that were not addressed on appeal through discovery, depositions, motions, and trial. Using the legal standard set forth by the California Supreme Court, the Orange County Superior Court will eventually decide the merits of this dispute. For example, St. James has brought a complaint against the Diocese of Los Angeles based on a 1991 written promise that it would not claim a trust over the property of St. James on 32nd Street in Newport Beach. On June 24, 2009, St. James filed a petition for a writ of certiorari with the United States Supreme Court. A response from the Court regarding its decision to hear St. James’s petition can be expected by October 2009. If the Court takes the case, a decision would be rendered by mid-2010. On July 13, 2009, St. James Church won a significant legal battle in its property rights case in Orange County Superior Court when Judge Thierry P. Colaw denied two motions brought by the Episcopal Diocese of Los Angeles and The Episcopal Church which sought to end the case in their favor. In October 2009, the Supreme Court of the United States denied a petition by St. James to hear its church property rights battle with the Episcopal Diocese of Los Angeles and the national Episcopal Church (TEC). In November 2009, St. James returned to the California Court of Appeal for a hearing to argue that the February 2009 opinion by the California Supreme Court stated that the case is not over and that the litigants will continue their case in Orange County Superior Court. The Episcopal Diocese of Los Angeles and the national Episcopal Church (TEC) argued that the California Supreme Court decided the lawsuit in its favor and demanded that the church turn the property over to the Diocese. In May 2010, St. James petitioned the California Supreme Court to review the Court of Appeal’s majority opinion. Case press releases, briefs and a detailed case history can be found at: www.steadfastinfaith.org. Substantively, I have no reason to believe that St. James will end up in any position other than where it is now. However, procedurally, it seems they were unnecessarily and perhaps improperly roughed up by the majority of the panel below. I suspect the California Supreme Court has formed the same impression and will send this back.